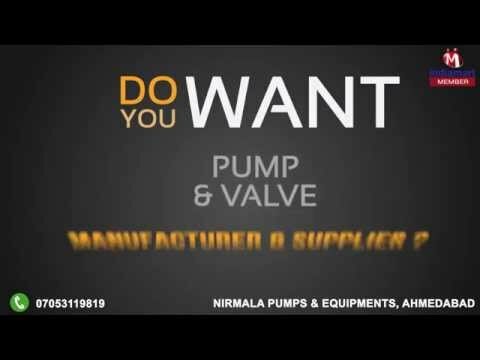 Welcome to Nirmala Pumps & Equipments, established in the year 1989, we are engaged in manufacturing and supplying broad spectrum of Pump and Valve. In our product range we are offering optimum quality AODD Pump, Centrifugal Pump and PVDF Pump. These products are manufactured and designed from optimum quality components supplied by the most trusted and reliable suppliers of the relevant domain. Our domain experts manufactured these products with utmost precision at our well-equipped manufacturing unit in tune with the industry defined norms and standards. We are offering these products in various specifications to suit the assorted needs and demands of our valued customers. Our offered products are highly demanded and appreciated by the customers for their best performance, hassle free working and longer functional life. Our offered products are highly demanded by the various industries such as solvent transfer, filter feed dm water plant, pharmaceutical and pollution control chilled water and steel Industry.